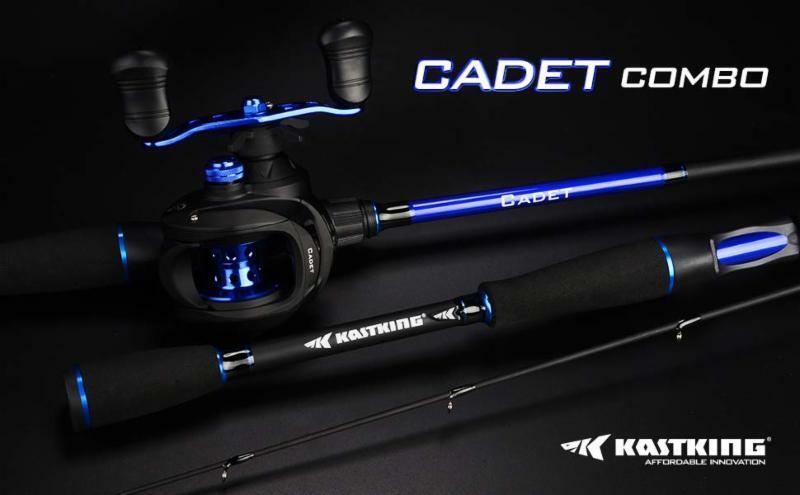 (For Immediate Release -- November 21, 2018 -- Garden City, Long Island NY) KastKing in Garden City, Long Island NY has introduced the KastKing Cadet Baitcaster Rod and Reel Combo, a new fishing rod and fishing reel set that targets the lower tier price range. 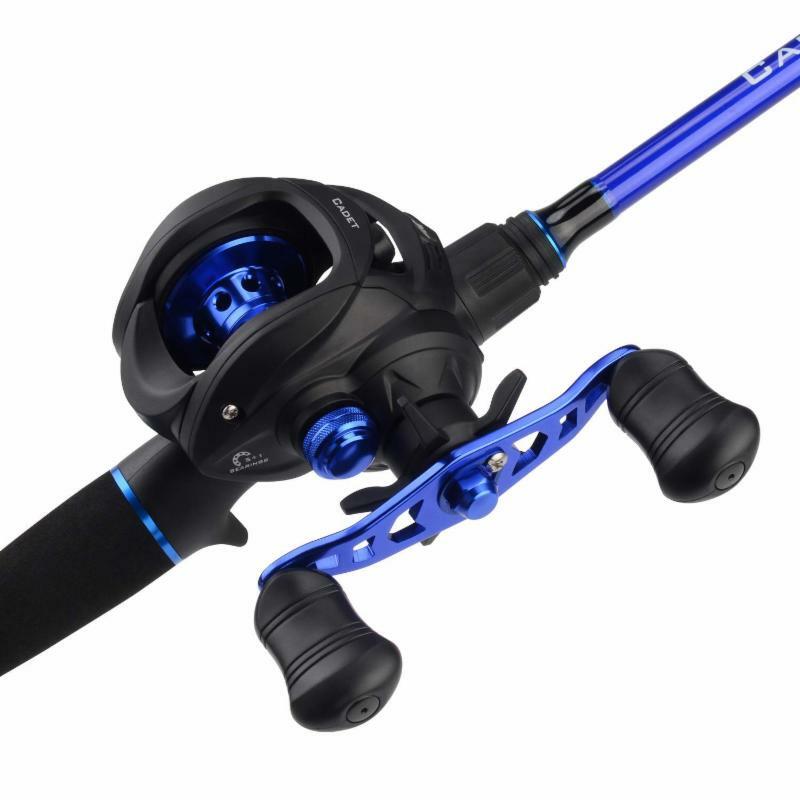 The rod and reel combo package is geared toward the casual recreational angler who wants the correct fishing rod and reel matchup at a lower price point. Cadet combo's two-piece fishing rods feature IM6 carbon graphite blanks with o-ring guides, durable graphite reel seats, and an EVA handle with a split rear handle design. There are two rod lengths available -- 6'6" medium power, moderate fast action, and 7' medium heavy power with fast action. 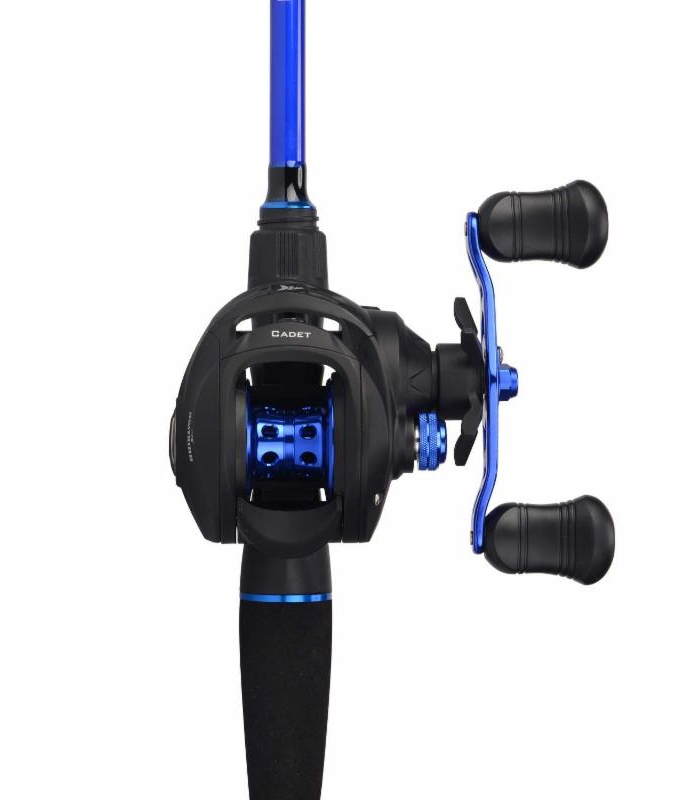 The Cadet casting comb includes a high-quality bait casting reel that features 5+1 shielded ball bearings, a 7-magnet braking system designed for easy casting and reduced possibility of overruns or backlashes, and a versatile 6.3:1 gear ratio. KastKing offers Cadet combos in both left and right hand retrieve models. "KastKing Cadet fishing reels have smooth operation and will give years of fishing fun," says Al Noraker, Director of Product Development at KastKing. "Its graphite frame is lightweight yet strong and offers endless opportunities in targeting many different species. "Even though the KastKing Cadet casting combo was designed to be one of the lowest priced casting combos made today, we still used quality components, so that your rod will perform like rods costing much more. We use stainless guides with o-ring inserts that are perfect for mono or braided fishing lines." KastKing Cadet baitcaster combos are sold online through amazon.com/kastking. The discounted online selling price for all sizes is $69.98. "For cosmetics, brilliant blue with black accents were selected for eye appeal," says Tom Gahan Chief Marketing Officer at KastKing. "That, combined with nice details such as a quality hook-keeper on the rod and quality components, and a price tag under 70 dollars, offers a wide range of anglers a fishing setup that they can not only afford, but also feel comfortable with. "We're glad we could get the Cadet baitcasting combo out in time for the holiday shopping season. Combos are great for those who are looking to purchase a rod and reel, but are unsure of what sizes work best together. It takes the guesswork out."